UPDATE 11/15/11: Just read in the Oct 17 issue of The New Yorker that while sunflowers can leach some of the radiation out of contaminated soil, Japanese scientists have since concluded that those that were planted in former rice fields near the Fukushima Daiichi nuclear power plant have had little effect. 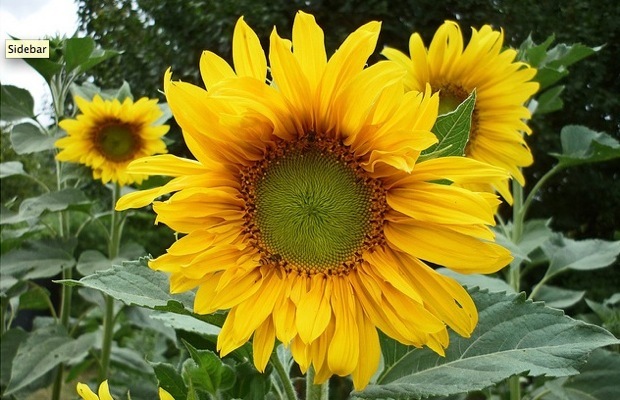 A young Japanese entrepreneur is trying to convince people to sow sunflower seeds in Fukushima Prefecture, intending the plants to cleanse the soil of radioactive contamination. Project leader Shinji Handa has sold some 10,000 packets of sunflower seeds at 500 yen ($6) to people throughout Japan, ostensibly to produce seeds that will be sent to Fukushima to create a sunflower maze.